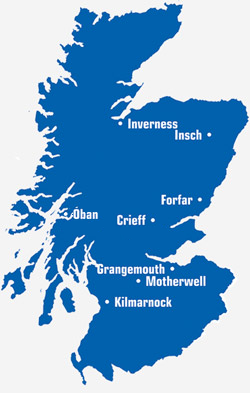 Oilfast supply Road Diesel (also known as White Diesel, Derv, ULSD) to commercial business all over Scotland and the UK with our National division, Oilfast UK. We use our expertise and buying power from being Scotland’s largest growing fuel supplier to buy stock at the best price and pass this onto the customer. We understand the importance of service in the commercial industry. Our staff have many years of experience in the industry and we ensure you can rely on each delivery on time, every time. Feel free to get in touch by leaving an enquiry or by contacting a local expert. We also have a wide range of fuel dispensers and storage tanks, some of which are available to buy online via our Web Shop.